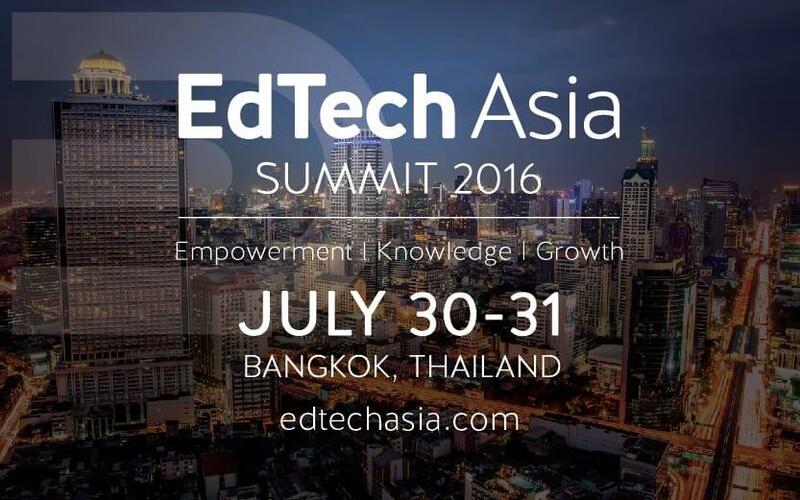 EdTech Asia will host its first regional EdTech Summit on July 30-31 in Bangkok, Thailand with a focus on ecosystem empowerment, knowledge sharing, and EdTech sector growth. The event will bring together key stakeholders in the Asian EdTech entrepreneurship, investment, and innovation ecosystems to explore shifting dynamics and highlight trends and opportunities within the Education and EdTech sectors. The summit will feature 60 speakers including more than 40 notable EdTech companies including well known industry leaders such as Udemy, Knewton, Topica EdTech Group, and Quipper as well as up-and-coming companies from the region including Teamie, ELSA, Playnote, GotIt!, and Cialfo. The summit will feature a Startup Showcase hosted by EdTechReview's CEO and an EdTech Asia Awards ceremony to acknowledge excellence in the regional EdTech entrepreneur and innovation ecosystem. The event will also highlight leaders from the Education and EdTech investment community with speakers representing Kaizen PE, Omidyar, Unitus Impact and Learn Capital as well as others representing venture capital, private equity, crowd funding and philanthropy. The summit intends to provide insight for key EdTech sector stakeholders who are active in Asia or active on a global scale with a strong interest in the Asian region. EdTech Asia Summit 2016 will be held at the Sasin Institute of Graduate Management on the campus of Chulalongkorn University in Bangkok. Recent years have seen a rapid increase in the amount of capital raised in the education technology (EdTech) sector, with the bulk of the investment activity in the USA. The EdTech sector is expected to continue positive growth, particularly in areas not dominated by investment thus far such as the Asian region over the next 5-10 years. Amid the exciting growth in this sector and increasing focus on Asia, the number of stakeholders in the EdTech ecosystem across the region has grown rapidly. EdTech Asia aims to highlight opportunities in the Asian region and empower stakeholders to have impact. EdTech Asia originated as a community networking and information group to serve stakeholders in the local EdTech entrepreneurship and innovation communities across Asia in 2013. EdTech Asia has since formed EdTech community groups in 10 countries and 13 cities and is a key driver of open innovation in the education sphere through the organization of events, consultation services, and creation and dissemination of news and data.